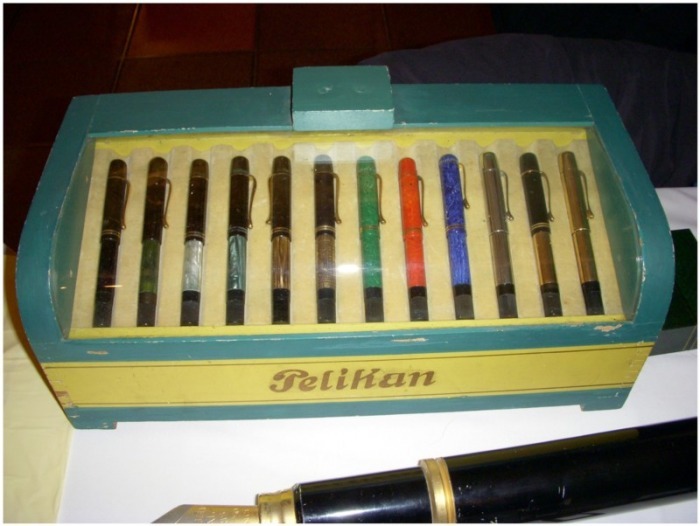 I show here rare or interesting pens i have seen on internet or penshows. Thank you to the collectors or sellers who gave me the authorization to show their pens. This is an extremely rare Montblanc from the 1920's. Rare because it was made for the french market. It is engraved "Chef d'Oeuvre" on the cap and not "Meisterstück" or "Masterpiece". It has a 18k nib. Rare because it is a lever filler. 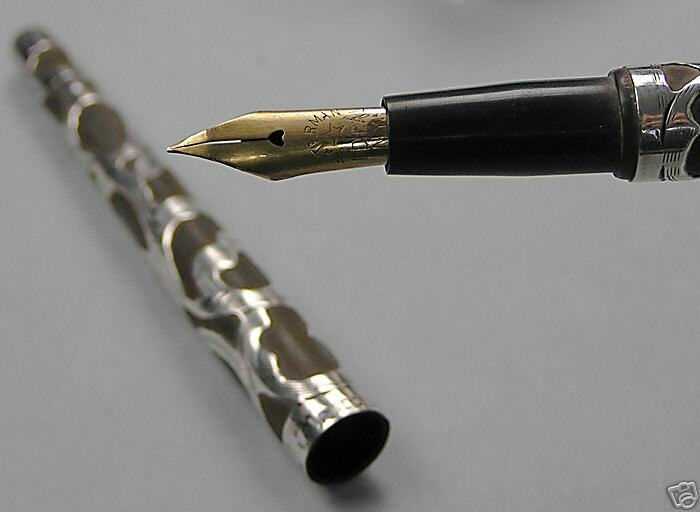 While the lever was widely used by many other brands (Watermans, Sheaffer, Carters ....), Montblanc mainly used button filler and piston filler systems, and eyedropper for the safeties. Rare because of the celluloid color. Lapis Lazuli is certainly one of the most difficult to find. This one is the only one i had the chance to see ... and own for a while. Sorry for the poor quality of the picture. 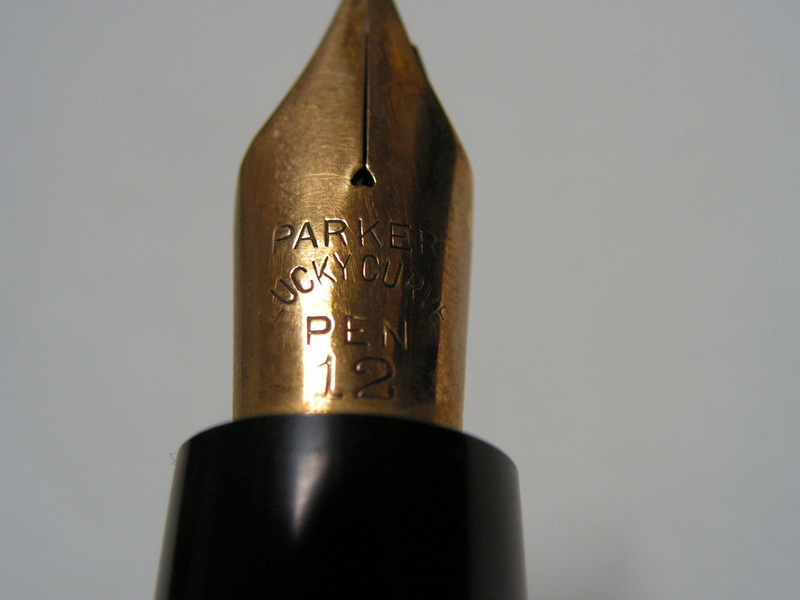 This Parker is extremely rare. 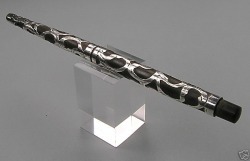 It is the biggest fountain pen ever made by the company. 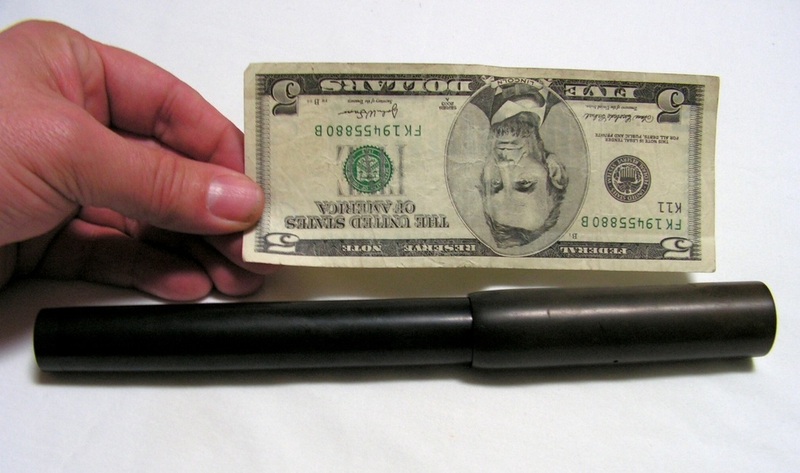 It is so big that a little baby pen in red hard rubber is installed at the back of the barrel. This is not a "display only" pen, it could be therorically used to write. 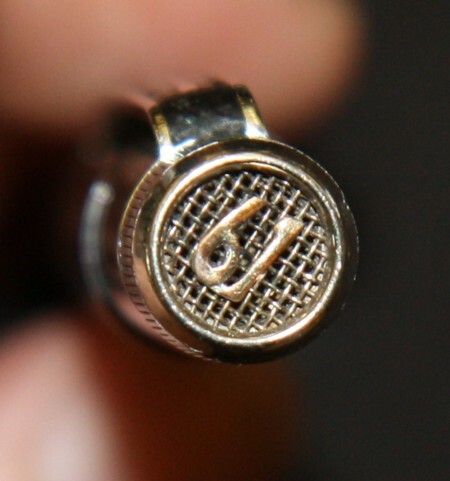 The nib is a huge number 12 in 14k solid gold. Thanks to Tim Wooten for the pictures. Again, one of the biggest and very rare Parker. I took this picture at the Madrid Pen Show. Extremely rare Waterman sterling silver Straight cap repoussé. 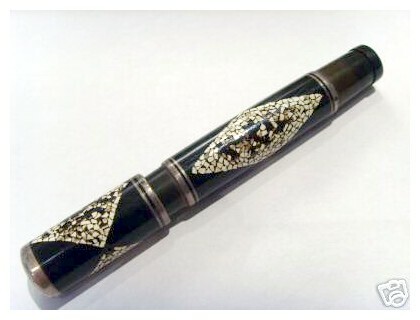 This very rare AA Waterman is decorated with two snakes. One on the cap, and one on the barrel. Both snakes have green jewels for eyes. Thank you to Rhonda for pictures and use agreement. 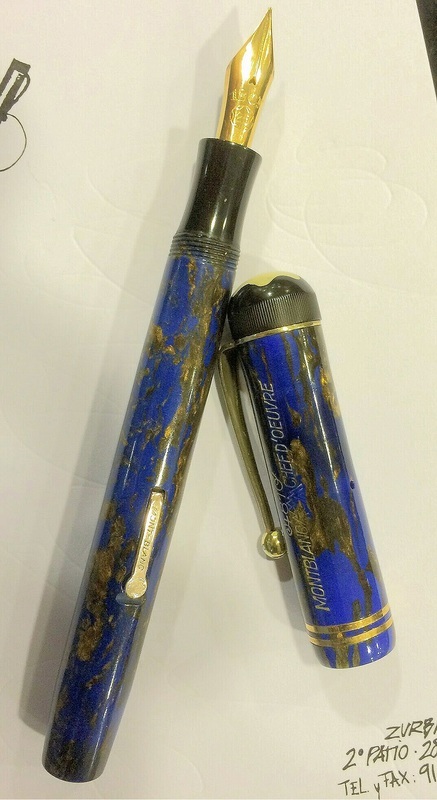 It is not so difficult to find a vintage Waterman Patrician. What make this pen exceptional is its color. This is a very rare little safety pen. It is made of hard rubber with a sterling silver overlay and a nice lacquer work with "coquille d'oeuf" design. This one was sold on an auction site in France. This is a rare fountain pen. Some collectors consider it as the holy grail. There are two snakes on this overlay, one on the cap and one barrel. This pen is gold plated but it also exists in sterling silver. 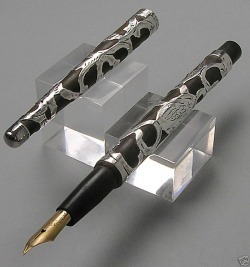 Parker edited another Snake in limited edition recently, in sterling silver, cardridge filler. Other brands used the snake on their overlay : Waterman or AA Waterman (see above). All these pens are very rare, so the collection is exceptional. This pen was sold on an american auction site in 2008. It is a repousse design with flowers. Very rare. Thank you to Sheila for the picture. This swan is a sterling silver eyedropper. The design calle "Puritan Patch" is absolutely gorgeous and extremely rare. Thank you to Don Lavin for the picture and use agreement. Another beautiful and rare Swan. Eyedropper filler, sterling silver. 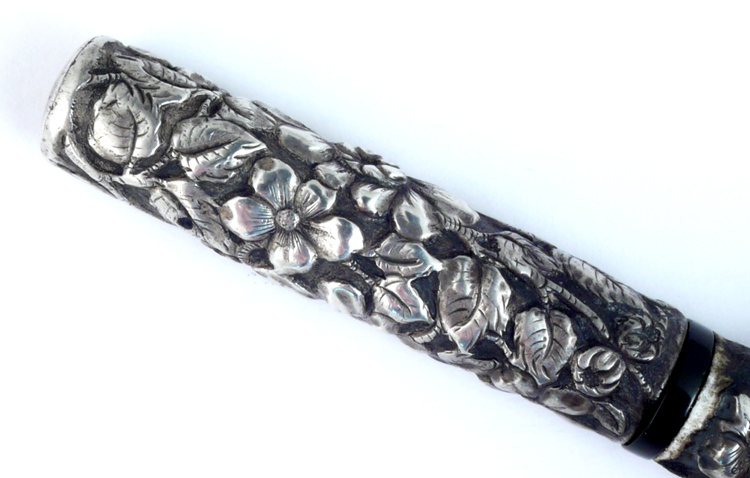 This is a beautiful and quite rare Sterling middle joint with a nice sterling silver filigree. 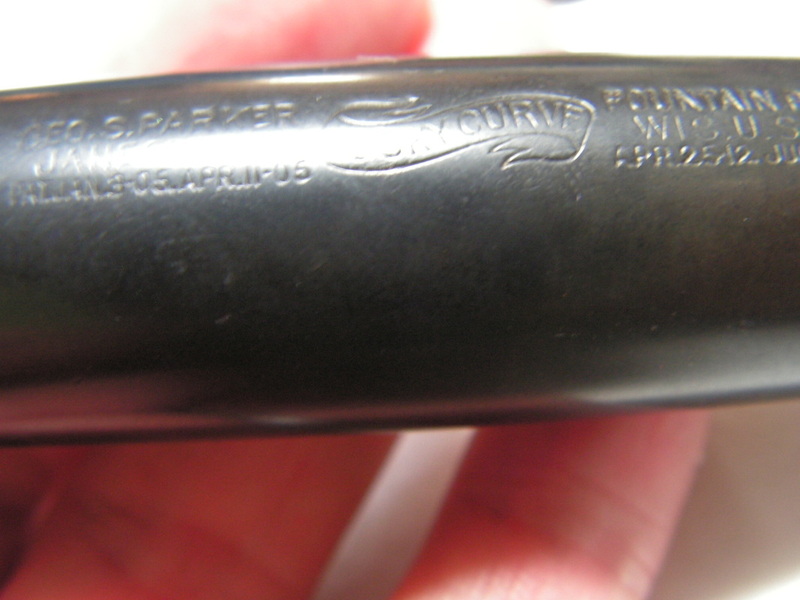 Leboeuf is an american brand, famous for the material used for their pens. Always very special colors, usually not seen in other brands. The color of this pen is called "cocobolo". 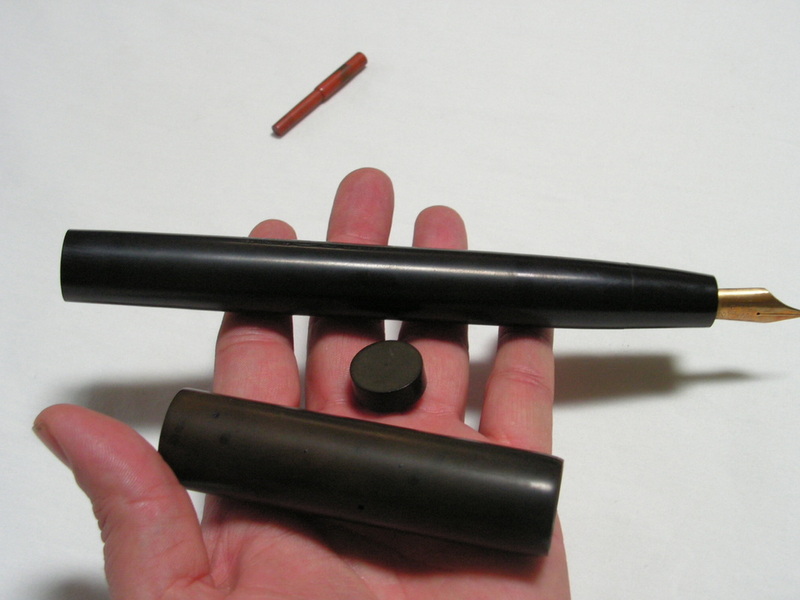 What makes the rarity of this pen is the faceted design of the barrel and cap. This is a rare set of Triad. 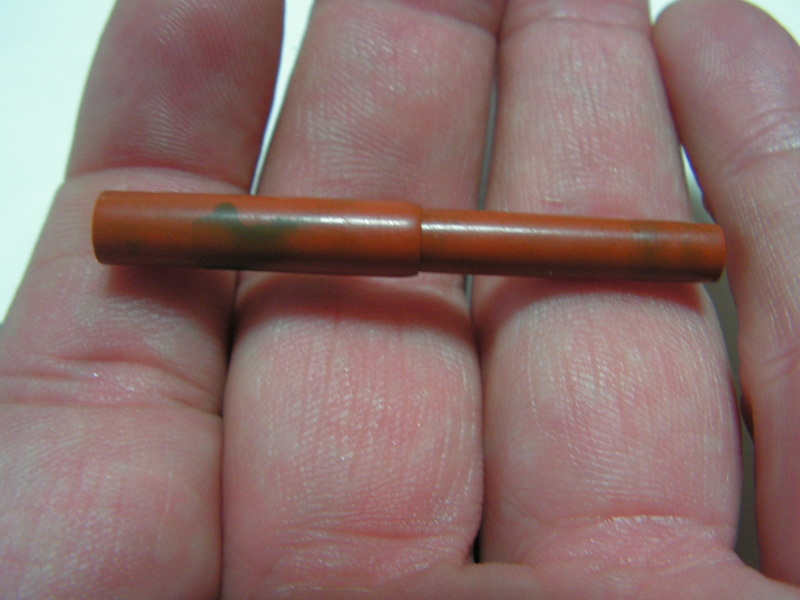 This pen is rare and most of the time it is found in bad shape. This is due to the mechanism of the cap. To remove the cap you have to turn the button which is at the extremity of the barrel. People who don't know turn the cap to open and brake the mechanism ! This is a lever filler. Very specific design with three facets. 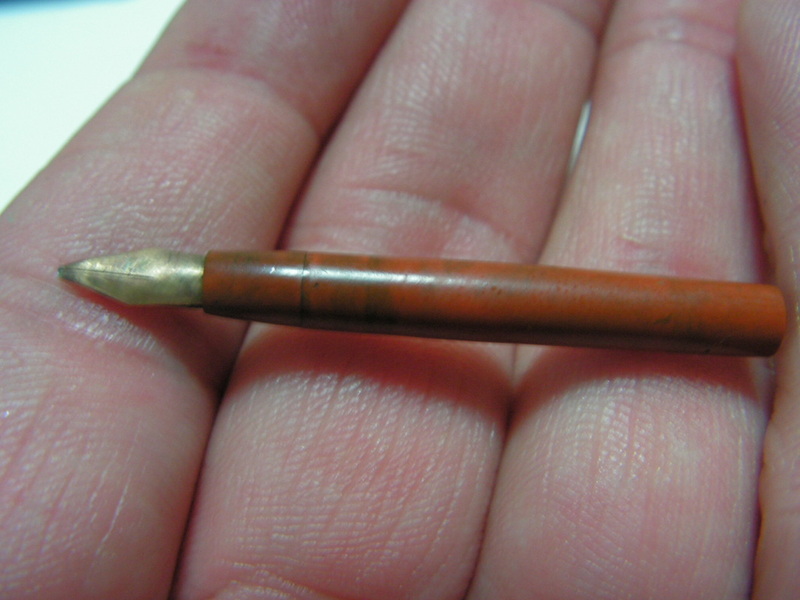 This is a rare Waterman 422 taper cap. Certainly the first or one of the first filigree made by Waterman. Sterling silver overlay as indicated by the "4" at the begining of the number. 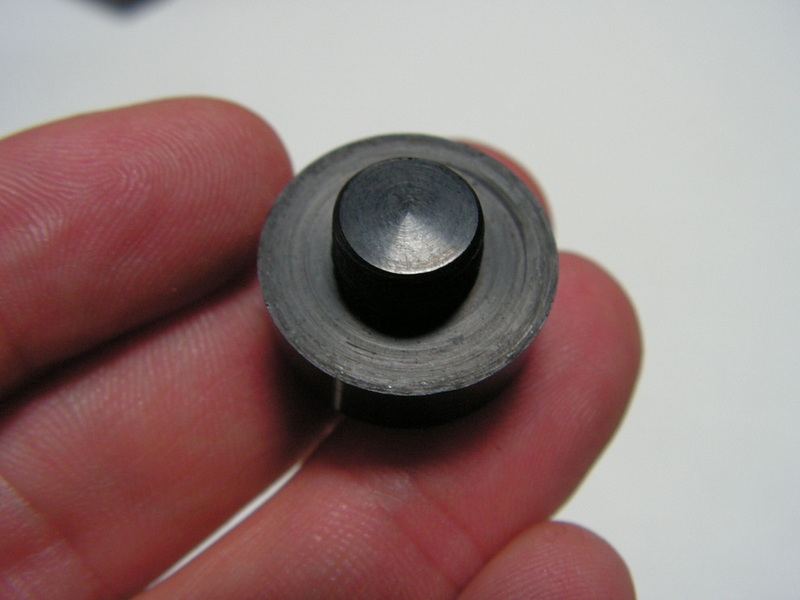 I also had the chance to see a 426 (taper cap) filigree. 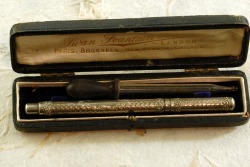 Same as this pen but bigger and with a number 6 nib. Certainly the only one known. Carey is an american (NY) brand famous for the beautiful overlays realised at the end of the 19th century, begining of the 20th. High quality. 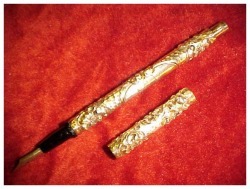 This pen is a gold filled embossed design, with flowers. Eyedropper filler. 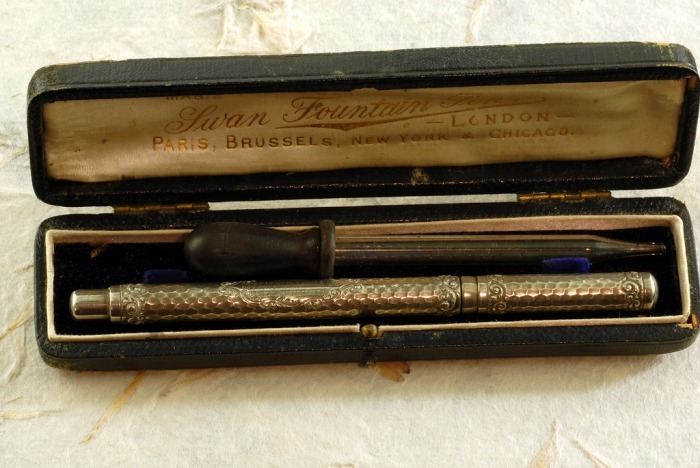 This is a very rare Waterman eyedropper, straight cap, in 14k solid gold. It was sold in an american auction for more than 14000 USD (plus fees). 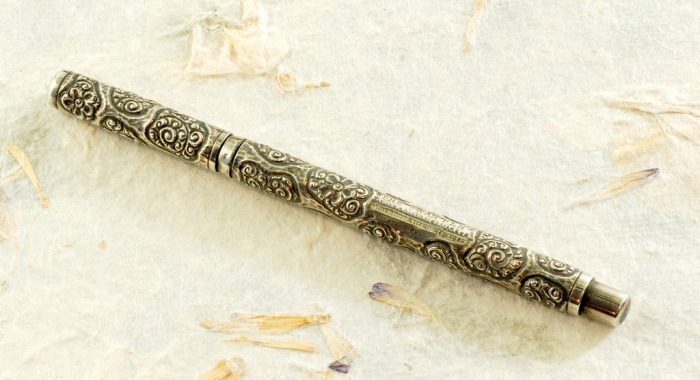 This pen has a fantastic overlay with repousse flowers. Thanks to Rita Lott for picture agreement. I took this picture at the Los Angeles Pen Show in 2009. Another pen seen at the L.A. Pen Show in 2009. 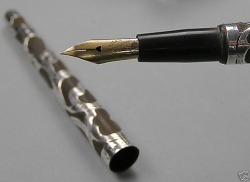 This pen is a Parker prototype, similar to the Murex of Pilot. The pen is very short when closed but the cap comes on the back and makes a long pen. Look the very special clip and "61" logo. Thanks to Rita Lott for picture agreement.